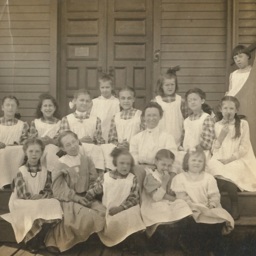 Undated photograph showing a groups of girls. Labeled as being at the "school on the hill" in New Market Virginia. Box 2, Garber Shenandoah County Collection, Truban Archives, Shenandoah County Library, Edinburg, Virginia. 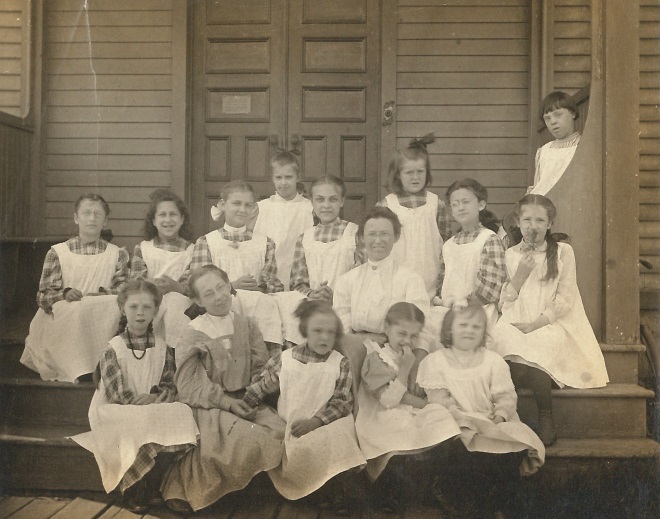 Unknown, “Unidentified Girls,” Shenandoah County Library Archives, accessed April 22, 2019, http://archives.countylib.org/items/show/11686.